Whether they are anti-technology, anti-corporation, or anti-spending in any way, more and more people seem to be specifically against the idea of upgrading their gadgets every year. This is not more true than it is for those shiny, beautiful, brand new smartphones. But when it comes down to it, I think it’s not only worth it, but also incredibly necessary. If we’re going to get into this, however, we need to take all of this with a big grain of relativity. There are still starving kids in the world, there are still extremely distressing genocide and crimes against humanity continuing every day, there are still people desperate to escape tyrannical dictatorships… In the midst of these thoughts, to consider a phone upgrade as “incredibly necessary” is not only callous….it’s borderline inhuman. But in the right context, considering that I’m serious about my work as a photographer and want to improve my career by removing all possible barriers to growth, laid out below are the reasons why I find it necessary to upgrade my phone every year and how I do it somewhat cost-effectively (and yes, I use an iPhone; but for the sake of everyone’s sanity, feel free to insert “[your smartphone of choice]” anytime I say “iPhone”). In the end, there are two reasons why I think it’s important to keep upgrading my phone. Both of them involve the fact that, more than anything, my iPhone is my second (and sometimes first) most important tool for business. First, someone famous even more famously said, “The best camera is the one that's with you. ” While I make it a point to always have one of my main systems with me (I’ve missed too much already to ever think again, “No, I’ll leave it at home this time.”), there’s no way to always have a camera of choice within quick reach. Having my iPhone with me, however, is easy. It’s thin, small, light, and takes better and better photographs every year — because I upgrade. And when I'm dealing with a sensor as small as the one in any phone of today’s leading smartphones, I’ll take all the help I can get in terms of quality. The stronger that file is when it comes out, the more final applications are possible with it. Don’t believe me? 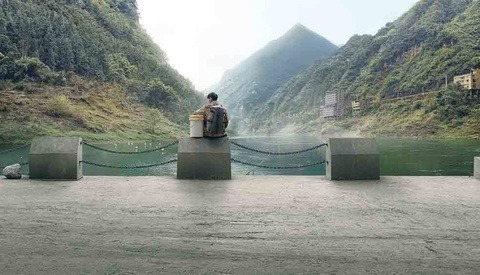 Check out Apple’s “Shot on iPhone” campaign. When it comes to image quality, having the most recent device ensures you’ll always have the best possible camera with you at all times (because who really is without his or her phone more than one percent of the time?). Second, it’s my iPhone that I rely on for some of my most productive moments. My iPhone keeps me in touch with clients just as well as it makes me available to family and friends when it’s time to relax. Sometimes there isn’t a Starbucks in sight (which is rare, but it happens) and sometimes there are so many people at a coffee shop that it’s impossible to get a reliable connection, let alone a fast one. Having the latest phone with the best antennas and radio chips around gives me a blazing fast on-the-go Wi-Fi hotspot whenever I need it so I can upload images to a newspaper editor or edit a post on Fstoppers in time for an editor to get to it before he or she goes to bed on the East Coast when we’re particularly pressed for time. It minimizes the time I spend searching for a signal or waiting while images transfer on a one-bar connection because “now” I have a three-bar connection. Every time that I am in an application that loads more quickly and crashes one time less while I try to transfer the ridiculous amounts of data that are sometimes necessary, I save myself a few minutes in time and another possible complaint from an editor about wait time — and in this industry, everything moves that quickly. And I get to save that extra time every day of every year that I enjoy my newest device. The list of bonuses and improvements in productivity continues almost endlessly. Every day those extra seconds add up into minutes and the extra reliability of that power in your hands saves you when you really need it. But how, exactly, can I make this financially approachable? I can’t realistically drop almost $1000 (for the 128GB “non-Plus” iPhone after tax, case, and one-time carrier upgrade fee) every single year, especially when I could alternatively spread that out over four or five. The history is much longer than this, but carriers — a while ago — discovered that they could lure new customers with huge discounts on large, cutting-edge devices. 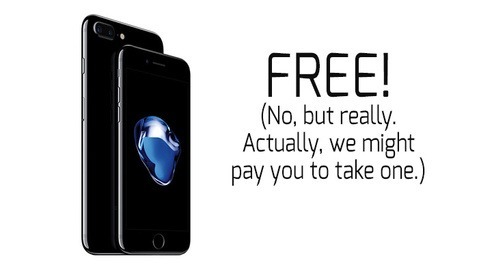 Making a $300 phone free through carrier subsidies was like getting a 12 percent discount on two years of service (the length of the contract necessary to cash in on the free or discounted phone). But it sounded a lot better — and customers had a new, shiny, tangible object in their hands to take home with them. Of course, every business still has to make its money. And sure enough, the cost of this “deal” is baked into the cost of your plan. Eventually, carriers began offering things like up to $25 per month, per line discounts if you brought your own phone...or device (BYOD). That was a nice way for them to not have to make it look like they were instead just adding up to a $25 surcharge to everyone else’s plans. In other words, they were going to get the money back for the phone one way or another — but we already knew that, didn’t we? With carrier subsidies for phones largely at an end (virtually all of the big four carriers in the U.S. no longer offer such up-front subsidies in the same way), carriers now essentially require one of two things: buy your phone outright and up-front and bring it into your plan with your $25 per month “discount” or sign up for a scheduled upgrade plan that requires no or little down-payment (sometimes just tax on that device) and wraps the value of the phone into monthly payments where you can choose how many months OR how much you want to pay each month according to your abilities. In terms of how each charges you for your device by the end of your contract, both of these plans, if you do the math, tend to come out almost perfectly even in the end, each only a few dollars off from the next at most. All of this means that “upgrade pricing” isn’t really a “thing.” It’s a sham to get people to wait two years to upgrade (or rather, to upgrade in two years OR ELSE they’ll miss out on the savings on their upgrade). So we can throw the “but you should sign a two-year contract argument” out the window. It costs the same with a contract or not. And carriers have simply become more open about it in recent months. The crux of how I make my justification for yearly upgrades lies in the fact that every device depreciates over time. For the sake of this example, I am going to explain exactly what I do and how much my “situation” costs. That includes the standard $849 pre-tax price of the highest-capacity, non-Plus iPhone (this year, it’s the 128GB iPhone 6S). At the end of a year, such an iPhone (like my current 128GB iPhone 6) sells used for about $600 on Craigslist (PSA: don’t throw your money away on things like Gazelle). So if I sell my phone and upgrade for $849 (>$920 after tax), the difference for the year is a little over $320. If I wait two years to upgrade my phone, however, the phone I have after that period is now another year older. If I check on the iPhone 5S with 64GB (the highest capacity iPhone 5S), prices are right around $350 right now. I’ll add $100 to that used price to work against my own argument because the price was probably driven down slightly more since you can now get double the space at the same “new-at-the-time” price. But the price difference when new was only $100, so that’s a very fair deduction against the value I am getting for the sake of argument. So now we're calling it $450. That’s still a further depreciation of $150 over the price of my iPhone after one year of use (which was/is $600). The difference between $450 and a brand new $849 (>$920 after tax) replacement is now closer to $470. At this point, I would still have to buy a brand new iPhone at likely never-changing prices. So I would wait two years with the same phone, and my cost per year is $320 for a one-year upgrade cycle or $235 ($470/2 years) for a two-year upgrade cycle. So assuming I would upgrade at least every two years no matter what (which is probably the minimum for me — I’m a pretty heavy user of my phones and don’t enjoy running on hardware that’s much older than that), the actual cost to me to upgrade yearly as opposed to the alternative (aside from the initial punch of the full MSRP which we all pay) is $85 ($320-$235). Of course, iPhones still aren’t cheap. I’m still paying that $320 every year to upgrade (and that’s one I’ve sold my old phone and put that money back in the bank). But compared to the alternative of upgrading every two years, I think that $85 is extremely doable. All the while, I get to enjoy the newest (re: fastest) hardware on the market every day of that second year. And I also get whatever new, handy features might come with that (even though, sure, some are more useful than others). I did this example with iPhones, which historically are some of the least depreciating phones on the market. You can try it with any brand — the new Samsung phones, the new HTC phones, Windows phones, Nokias...you get the point. You’ll have the same result, and if not, it’ll be more in favor of the one-year-upgrade argument because of those phones’ increased rate of depreciation. Additionally, remember that I depreciated the two-year-old phone by an additional $100 to allow for changes in price due to higher-capacity models coming out in the future. But in the real world, you wouldn’t get that if it “happened” to you. Those iPhones still go for $350, not $450, on Craigslist. I am just accounting for any discrepancy should we have done this two years ago when all of the recent, highest-capacity models had the same 64GB storage. And if I didn’t do that, I’d actually be costing myself more for the two-year upgrade cycle because of the rate at which my two-year-old phone would have depreciated. So there you go. If you needed a good argument to send to your parents, want to win that fight over who was right, or simply want to know in your heart that what you’re doing by upgrading every year is actually better for you, now you have it. Just know that it doesn’t work if you’re okay to keep your phone for four or five years…as most people probably do. But I’m not most people. And neither are you, right? 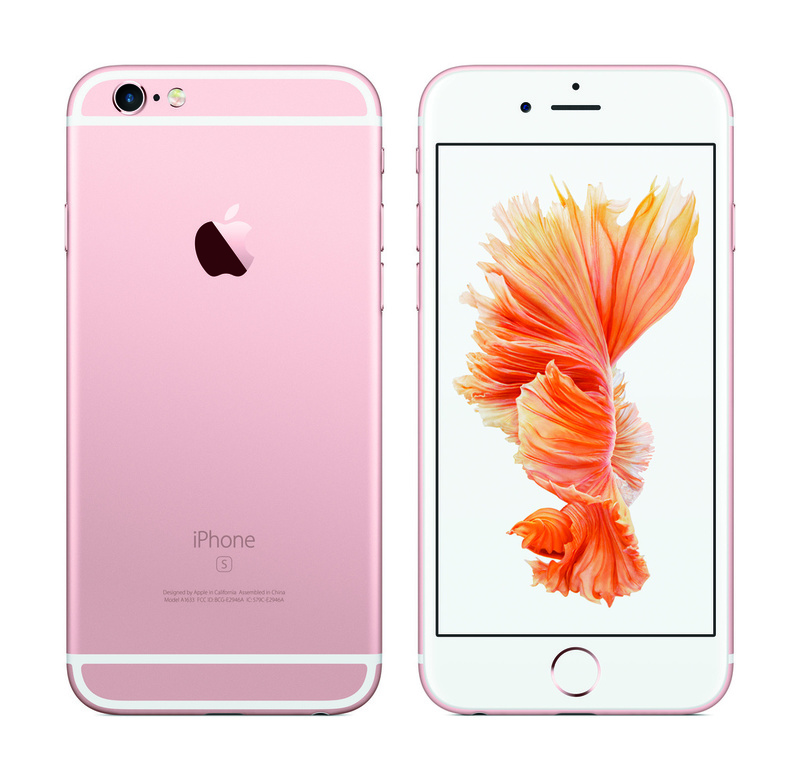 The new iPhone 6S is now available for pre-order and will be released September 25th. And for those interested, Apple CEO Tim Cook appeared on The Late Show Tuesday night with Stephen Colbert. The interview can be found in a number of places online and/or if you have a cable subscription on CBS. Maybe they'll thank me later with a new iPhone in the mail. Ha! No, he is the dream of Apple. Not a knock on iPhones, they are great phones and I get why people love them. So I'll relay the android experience on this front. I buy my phones off contract and on the used market because I still have unlimited data from Verizon and if I make any changes to my plan or try to get a subsidized/upgraded phone, they'll put me on one of their horrendous data plans that are vastly overcharged. I won't buy the latest released phone brand new when the costs range from $500 to $800 typically. That's a huge cost to eat for a phone. I recently bought a Samsung Galaxy Note 4 in like new condition for $300 on the used market. It's a late model phone that came out late 2014 and they just released the Note 5. It's a marvel of phone technology and I'm thoroughly impressed with its feature set. Even my girlfriend was admiring the camera on it on a hike this morning (she has the iPhone 6 is thoroughly anti-android). Carriers are becoming more accepting of unlocked phones and even Verizon has now changed their stance regarding phones from other carriers that are unlocked. You can buy the flagship Google phone, the Nexus 6 brand new for $350 on Amazon right now. The Nexus 2015 is coming soon and it's rumored to be in the same price range. We are ushering in a much more affordable era of phones. I imagine I'll use my phone for a year or longer, sell it for $200, and pick up a Note 5 or Nexus phone. Okay, I don't follow Apple products, so I don't know what the life cycle is for iPhones. 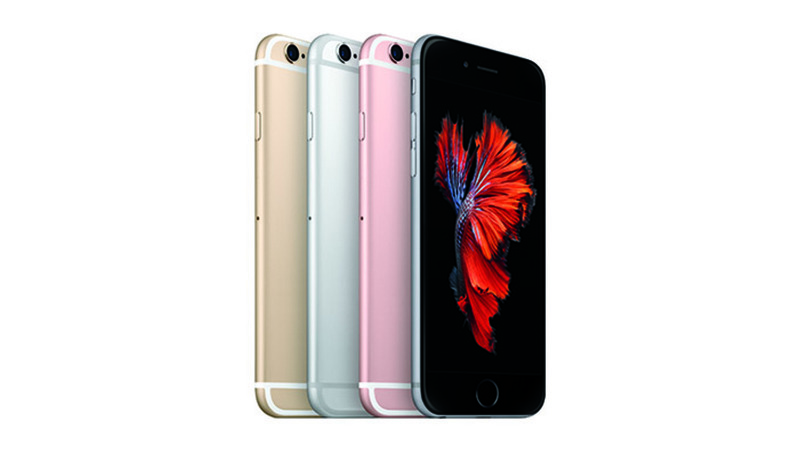 Does Apple release a new iPhone on yearly basis or every 6 months? Frequent releases withf incremental enhancements is probably the best way to get Apple fans to camp out at Apple stores a week in advance. And that's how Apple rakes in the money. But, I don't remember which iPhone it was, but Apple release an iPhone with an abysmal range due to how the antenna was packaged with the phone. The question is: will Apple fans trade in their iPhone 8 for a new iPhone 8 in a year? I do not choose my phone based on its brand, but its components (RAM, storage, processor) and its operating system. My phone has 45 months and paid € 300 as many as ram iphone 6s, a 1.5 GHz quad core processor, and there are so many storage solution that it is useless to have a phone has 128GB. I am not a professional photographer but telecom is my job. Your breathless pronouncement that upgrading a gadget is "incredibly necessary" is off-putting. Air, Food, Water and Shelter are incredibly necessary (as is money, unless you live on a self-sufficient farm). Everything else is on a sliding scale from "Very Necessary" to "Absurd Luxury". I submit this latest iPhone update is much further to the "Absurd Luxury" end of the spectrum than to "Very Necessary". To state otherwise implies a certain lack of perspective which does you no credit. I'm not sure if you're serious here or not, especially since I wrote the entire second paragraph to address this (and you sound serious). But yes, those other "non-first-world" issues are far more important than upgrading a phone. But we all still discuss image quality and sensor size, upgrading to 4K, etc. We still have professional/semi-professional jobs to cater and to careers to build in this world. And to that extent and in that context, these are the driving factors and motivations behind the thoughts laid out here. I've bought my iPhone's outright every year since the iPhone 4S. I had unlimited data with Verizon up until last year but my overall reasons were in line with this article. Pay full price for the phone, sell it to help fund the next iPhone, and I get to enjoy the latest and greatest models. 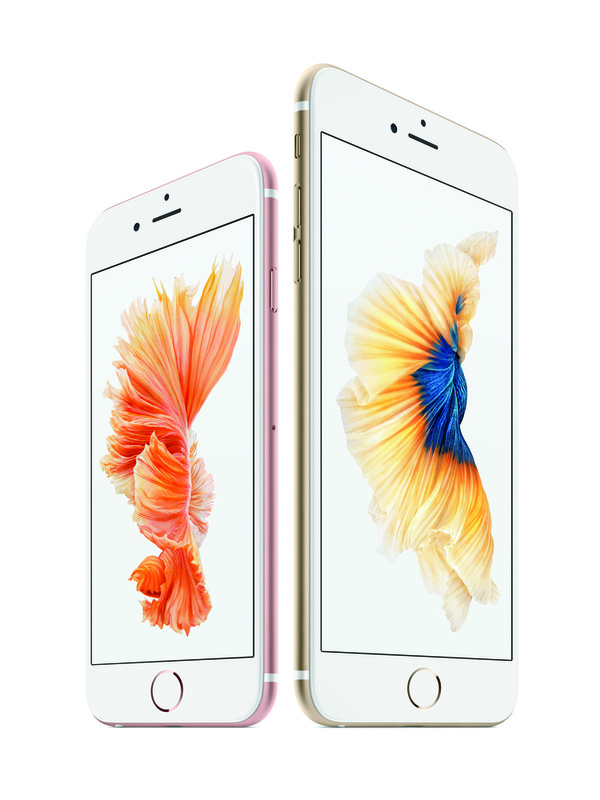 Only a week to go now until my iPhone 6S Plus arrives! Wahoo! Good write up, i guess that's why i upgrade every year too. can't wait to play with the 4k video and 12mp camera.